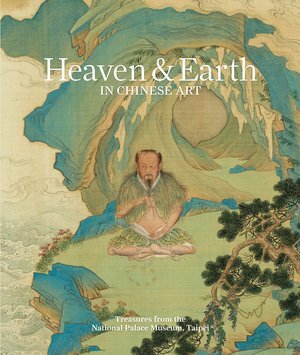 This publication presents some of the highest artistic achievements in Chinese history. Drawing on the exceptional collection of the National Palace Museum in Taipei, Heaven and earth in Chinese art: treasures from the National Palace Museum, Taipei celebrates the rich heritage of Chinese culture through the ancient Chinese concept of tian ren he yi - unity or harmony between heaven, nature and humanity. Similar expressions of this unity are common to the three major philosophical and religious traditions of Daoism, Confucianism and Buddhism, which form the foundation of the Chinese belief system. Heaven and earth in Chinese art includes over 80 artworks of outstanding beauty covering paintings, calligraphy, illustrated books, bronzes, ceramics, and jade and wood carvings. Taiwan during the unrest of the 1940s, and have rarely travelled since.